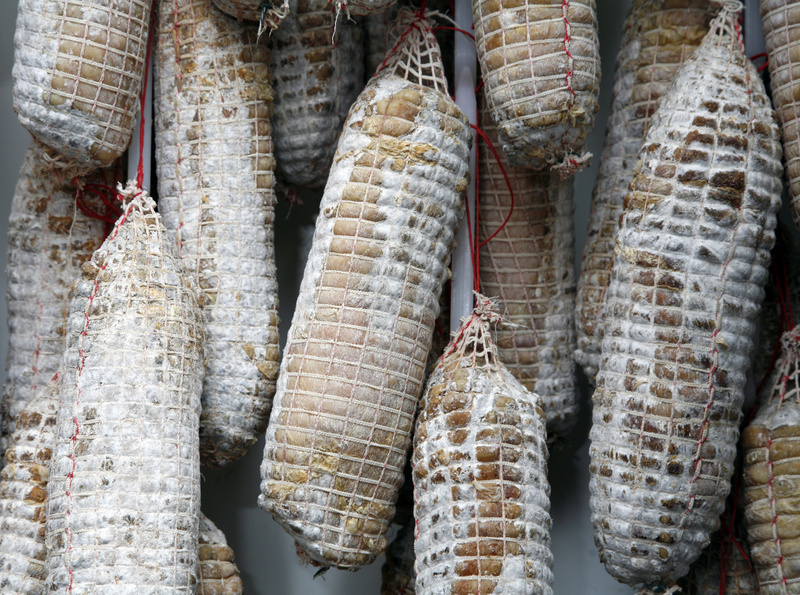 ALISTAG™ is a food grade coating agent for cured hams and cheeses. 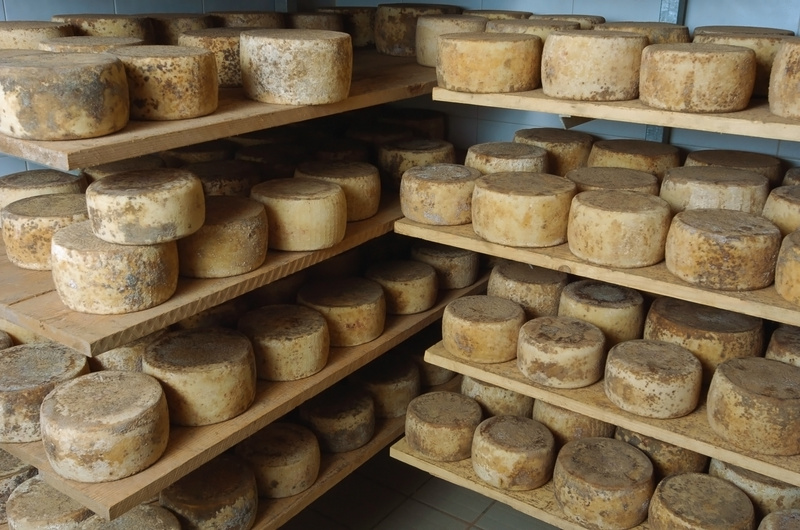 It turned out to be very effective in protecting them from the development of dust and cracks caused by the infestation of mites and molds. Alistag™ was presented at the XXVII National Congress of the Italian Association of Veterinary Food Hygienists (A.I.V.I.) from the 13th to 15th of September 2017. 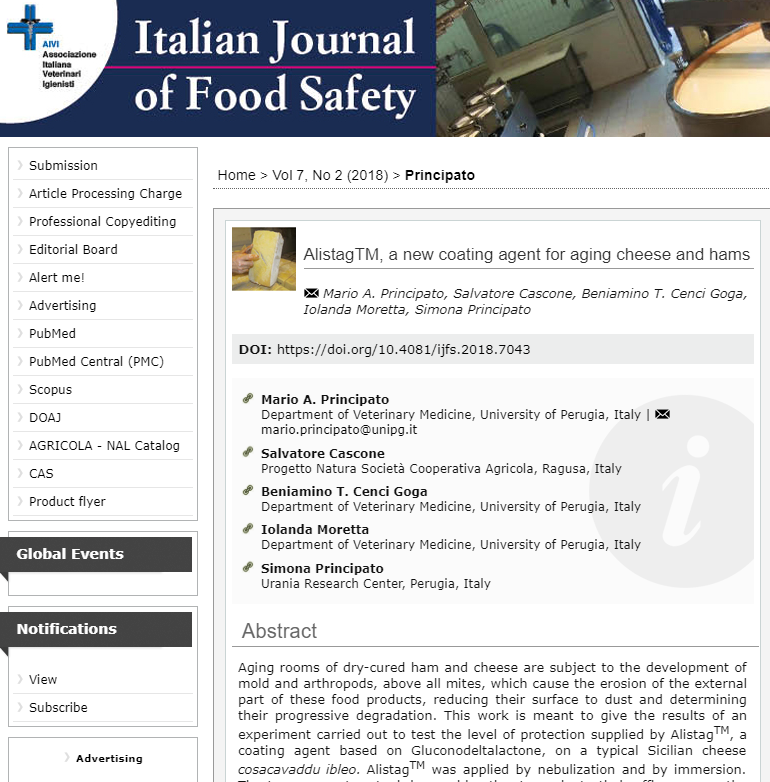 Click HERE to read the article published on the website of the Italian Journal of Food Safety.